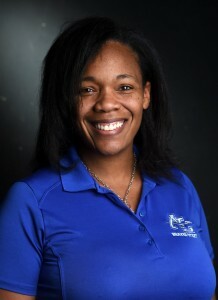 Alta Loma High School volleyball coach Tishanna Pope has resigned, citing family. Pope has directed the Braves volleyball program the last eight years and boasts a career record of 148-119 in that span. The past season was the best in school history as the Braves went 36-3, cruised to a Mt. Baldy League title, won the Southern Section title (Division 4AA) and advanced to the state championship match before falling to Sonora in a five-set thriller. It was the deepest run for any team in Chaffey Joint Unified School District history. She was the Daily Bulletin’s Coach of the Year and the CIF nominee for Coach of the Year in volleyball. Pope and husband Dubin had their first child in September, a daughter named Naomi. Pope, a 1998 graduate of Alta Loma, also teaches math at the school and will remain in that role. The job will have to be flown inside the school district first. The logical successor would be Cindy Gurney, who coached the team with Pope last year and headed the program from 1982 until Pope took over in 2006. She returned to be by Pope’s side in 2011. Pope also coaches club ball with Pacific Juniors but hasn’t decided if she’ll continue in that capacity. Alta Loma volleyball Tishanna Pope is among the 2014 Southern Section Fall Coaches of the Year honored by the California Coaches’ Association. These winners will be submitted to the state as finalists for the California Coaches’ Association State Coaches of the Year announced in June of 2015. Pope, a graduate of Alta Loma, has been at the school since 2003, the last nine years as the head coach. As the head coach, her teams have gone 148-119. The Braves are coming off the best season in school history, having gone 36-3, winning the Southern Section title and advancing all the way to the Southern California finals in Division 4.